Tag Archives: "mjr lee buff"
Posts Tagged "mjr lee buff"
This Saturday we’re bringing the wrestling to Cootes Farm Community fayre. We will be wresting twice through the day amongst the music acts. Plus there’s all the usual local beers, food and fun of the kids fayre. DONT MISS THIS RARE FREE PERFORMANCE! They have been with KAPOW Wrestling since Issue One and in Bognor Regis they go One-On-One! “The Bearded Behemoth” Karl Atlas faces “The Super Soldier” Mjr Lee Buff in super-heavyweight super-powered super-showdown! 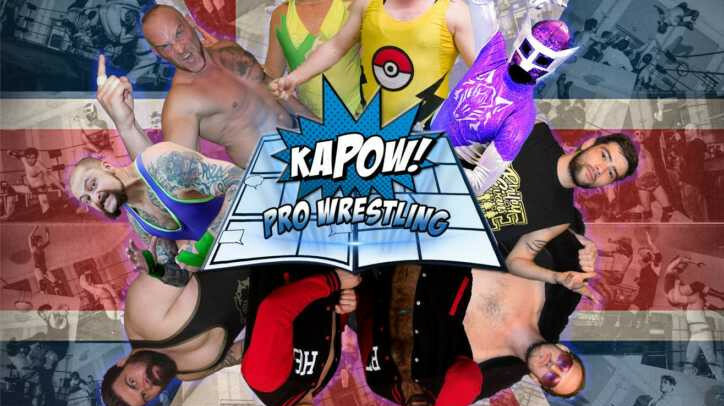 KAPOW returns to Horsham for a fun filled night of frantic, furious pro wrestling action! Our past Horsham events have sold out so we recommend you get your tickets early! UPDATE: Online tickets have sold out, but tickets are still available at Broadbright Heath Leisure Centre.